I’ll be featuring for Joe DeRosa in Las Vegas at Top Golf Laughs Comedy Club. Come out to the show if you are in Vegas! Show starts at 9pm. I’ll be featuring at Top Golf Laughs Comedy Club for Joe DeRosa. Show starts at 9pm doors open at 8pm. If you’re in LV come to the show. Bonkerz Comedy show at Rampart Casino in Las Vegas. I’ll be performing at Rampart Casino in Las Vegas Nv. Show starts at 7pm doors open at 6:30. See you there! Too Soon? 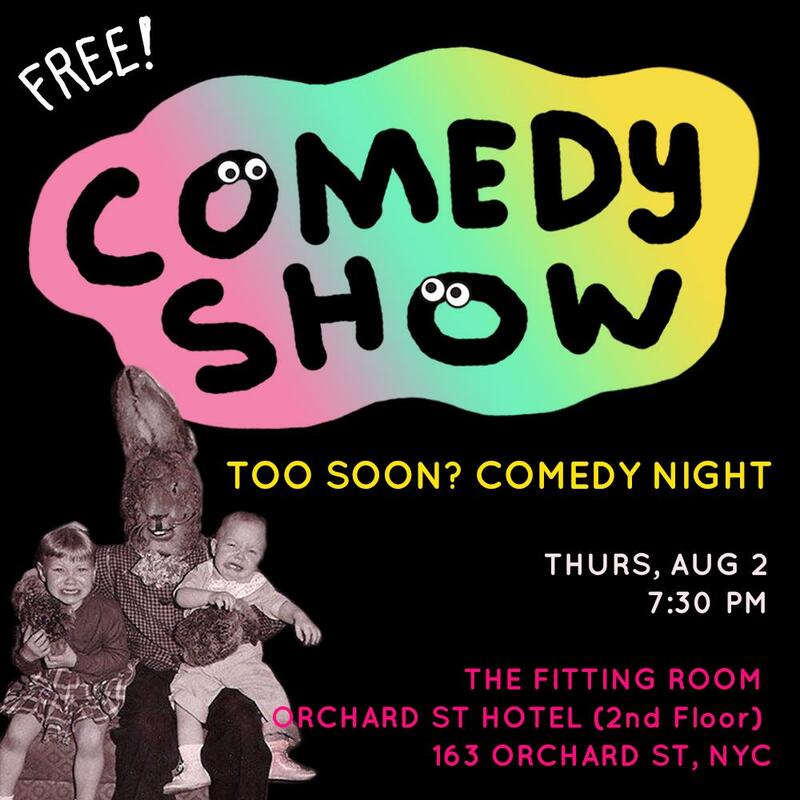 Comedy Night: A weekly comedy show at the Orchard Street Hotel. It's in The Fitting Room located on the 2nd floor of the hotel. It's a great secluded room perfect for comedy. AND The night is free. Starliner Comedy. A bi-weekly Comedy show that Christ Cheney and I Produce every 2nd & 4th Wed of each month. At the Starliner bar at 1446 Myrtle ave. Show starts at 8pm. 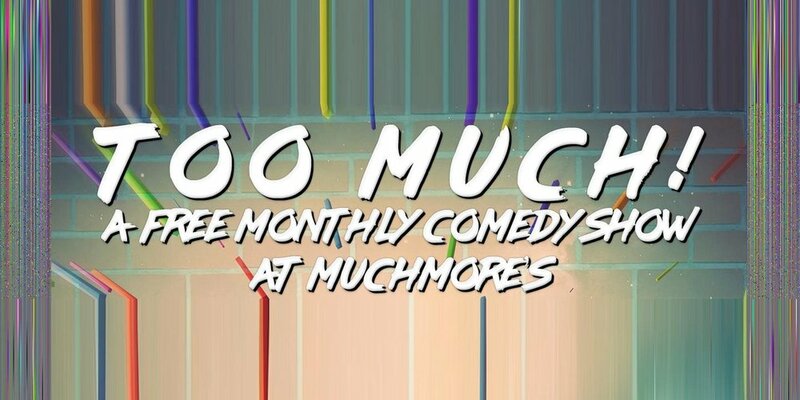 I’m on this free monthly show at Muchmores in Williamsburg, Brooklyn. Hosted by Ethan Feldman. Show starts at 6:30. Real Talk UG Comedy at the Cherry Tavern. Too Soon? Comedy Show! My Birthday Week! 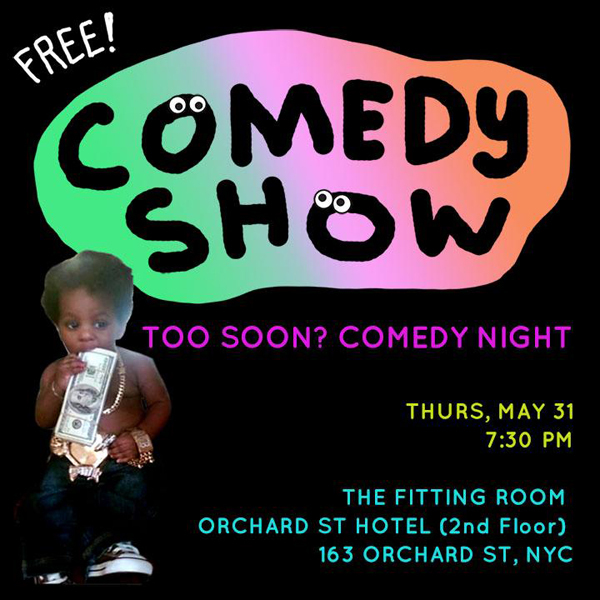 Join Us Every Thursday at the Fitting Room at the Orchard Street Hotel. Same time same place each week. It’s always fun. 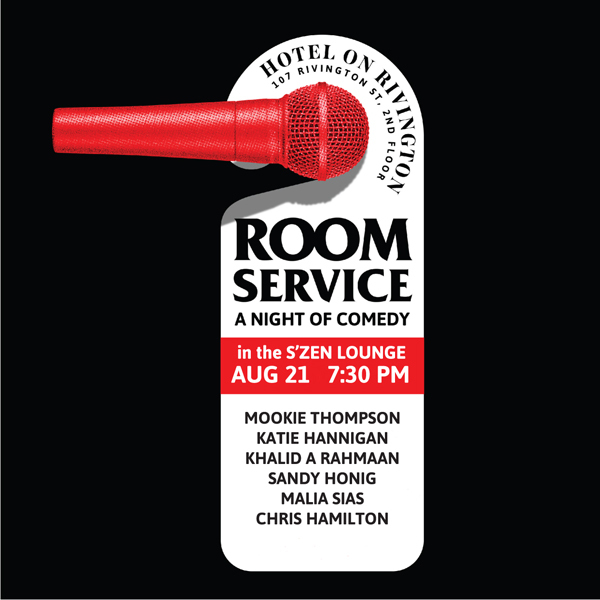 Always Free and always a different lineup each week with your Hosts Chris Hamilton and Malia Sias! Check out our weekly comedy show in the Lower East Side. Come to the Fitting Room. The 2nd floor lounge at the Orchard Street Hotel We have comics from all over the US. Touring comics, comics that have been on late night and up and coming talent from around NYC. You'll be out in time to get home or go out more in the one of the neighborhoods bars or restaurants. We have wine, beer and a complimentary popcorn machine! Come to the Fitting Room. The 2nd floor lounge at the Orchard Street Hotel to see a night of comedy. It's a weekly show with comics that have been featured on TV and clubs across the city and the US. This Monday at Legends NYC Sports bar in Midtown. Come after work. Come before you take the train home. It's a great line up. And it's free. Come to the Fitting Room. The 2nd floor lounge at the Orchard Street Hotel to see a night of comedy. We have comics from all over the US. Touring comics, comics that have been on late night and up and coming talent from around NYC. Laughing for an hour and 20 mins is a terrific way to spend your evening. Toon Soon? Comedy Show New Venue! I'm excited to announce our new location for TOO SOON? COMEDY NIGHT. In the 'Sitting Room' on the 2nd Floor. It's not just another weekly show. it happens to be a Pisces Show. It's me, Todd and Domo's birthday week so we are all celebrating together with some an amazing lineup!. Hope you can make it out. It's free and it starts at 8pm! I'm featuring for Frank Del Pizzo at the Rocky Gap Casino. If you happen to be near the Maryland/West Virginia Border come check out the show. Doors are at 7:30 show starts at 8pm. 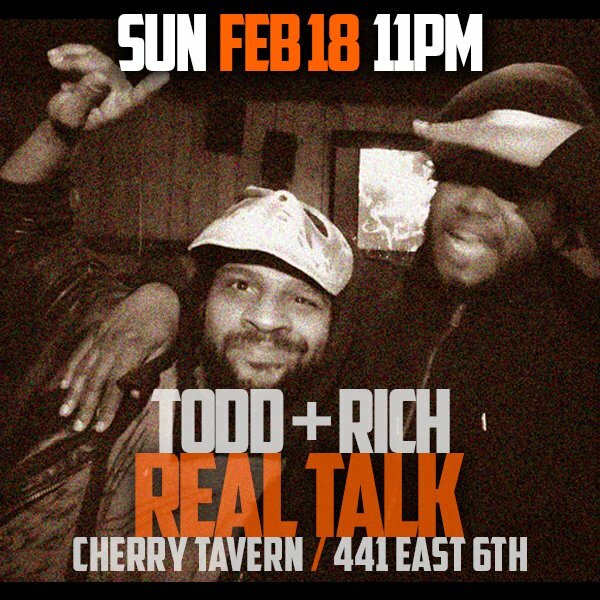 Sunday 2/18 at Cherry Tavern 441 East 6th St. 11pm I'm on Todd and Rich's Real Talk show. It's alot of fun in a dive bar in the East Village. A Weekly Comedy Show in the Lower East Side. Every Sunday at 8pm at the Sensei Gallery Bar. It's a comfortable environment and by that I mean there are couches to sit on. Our lineups feature local comics as well as comics that tour nationwide and have been on television and late night. It's always on Sunday, it's always fun, and it's always FREE!